Verdasco beat Radu Albot with another demonstration of strength that reflects his good form. Marin Cilic awaits you. Bautista beat the Australian and will face Khachanov. 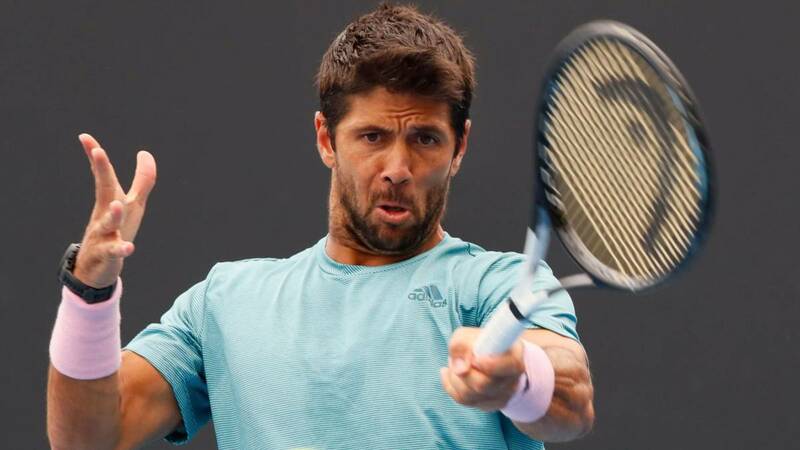 Four years after getting it for the last time, Fernando Verdasco has gone to the third round of the Australian Open. The Spaniard has won with authority and in three sets, as in his first commitment against Kecmanovic, the Moldovan Radu Albot: 6-1, 7-6 (2) and 6-3 in 2h: 28. Now a coconut awaits him, the sixth favorite of the tournament, Marin Cilic. But Fernando has been demonstrating for some time that he is one of the best Spanish players of the moment behind Rafa Nadal and Roberto Bautista. He needs to endorse it with some great success at age 35. Ante Albot, Verdasco was again used forcefully. He added 36 winning shots, only two of them direct serve. and won 76% of the points with first services. With five breaks and conceding only two, he restrained his rival, who ended up very irritated by how Spanish handles the situations of the matches. Something has to serve the experience. Verdasco has lost its last four games against Cilic, two of them last year (Monte Carlo and Queen's) and have never met in a Grand Slam. "He's one of the best in the world, very complete, he's very good, he puts pressure on the rest, in the back he pulls you well on both sides, a little bit better on the backhand and makes you winners. He has done Grand Slam finals and won the US Open A today and as is the ranking, it is normal for him to win, but I have nothing to lose and I will give everything to have winning options ", explained Verdasco. This also achieved his pass to third round Roberto Bautista, who suffered to overcome in five sets the Australian John Millman 6-3, 6-1, 3- 6, 6-7 (6) and 6-4. The Castellonense began the match in an intractable way, achieving two break points for closing the first set by 6-3.. In the second, Bautista took advantage of two more breaks and 14 winning shots to close by 6-1. However, Millman, who eliminated Federer last year in the US Open eighth, re-found himself in the third set (3-6) and also won the fourth round after saving three match points in the tie-break. (7-6 (6)). In the fifth set, Bautista took advantage of a break in the fifth game to then keep his serve and close the set and the match 6-4. The Castellonense will be measured in third round with Karen Khachanov, tenth favorite, who beat the Japanese Yoshihito Nishioka by a triple 6-3. Conclusions: "It has been a very I have embroidered tennis, or I have been close to doing it in the first two sets, I have been at a very high level, the third one I started worse, more stopped, and when the match was taken, it was a tough opponent to beat. After having 4 match balls it has been a difficult challenge ". Cansancio: " I would like to win in two hours or an hour and a half, I am sure that I will notice it, it is clear that I am playing tough games, but luckily I'm winning. " Buen tennis: " I'm happy with the level of play and the desire on the track, but at the moment everything is positive, it's hard to play that well. bouncing down the track. Hitting the ball very well. It was bad luck for the fourth set to escape, but the good thing is that I continued in the match. Trained I am after spending so much time on track. Of tennis and mentally I feel good ". Khachanov: " He is very aggressive, plays very direct, with a serve and first ball very good. The last time we played was a very tough game. Let's see if I recover physically well to be in fullness. "